How to run Disk Repair? You can perform Disk Repair on both your external drives as well as on your Mac. If you are repairing an external drive, on the dock, open Finder, go to Applications > Utilities and proceed to step 3. In order to repair a disk that is running on your Mac system, you will have to go through Recovery mode and follow the steps below. If Disk Utility reports the disk is about to fail, you should backup your data and replace the disk. If not, proceed with the steps below. If Disk Utility reports that disk appears to be Ok or has been repaired, you’re good. If Disk Repair is successful, your Mac problems are solved and performance improved. However, if running Disk Repair doesn’t help solve the issue, reformat your device and reinstall OS. Before you reformat your device, all data needs to be backed up. But if your drive is corrupted or inaccessible, backing up is hard. You will need data recovery software for this purpose. Remo Recover is a great tool to recover data from your Mac. It is a partition recovery tool capable of recovering partitions with folder structure intact. It works on the read-only mechanism to recover your files. So, original data will not be altered during the recovery process. In addition to recovering files from your system, it can also be used to recover files from external hard drives, USB’s, memory cards and other storage devices. Supports all Mac devices such as MacBook Air, MacBook Pro, Mac Mini etc. Supports all file systems such as HFS, HFSX, FAT 16, FAT 32 etc. 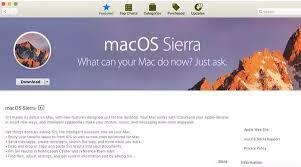 How to Fix Unable to Repair Mac SSD from Recovery Mode Disk Utility First Aid Issue?